Today: Sarah from The Yellow House gives us inspiration for putting Thanksgiving turkey to use in places other than between two slices of bread. What if we stopped treating our leftover Thanksgiving turkey as “leftovers” -- just different reheated iterations of the exact same plate? 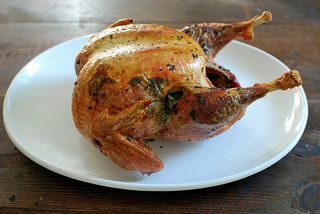 A roast turkey, or any roast bird, for that matter, is a starting point from which we can enjoy a number of unique meals. The plates presented here are, for the most part, assembled out of staples I like keep in my pantry and fridge -- grains, greens, cheese, bread -- but offer something more than the standard (albeit good) day-after fare. Eat the obligatory turkey sandwich (don’t forget the cranberry sauce), and then get to cooking any number of these resourceful, warming meals. 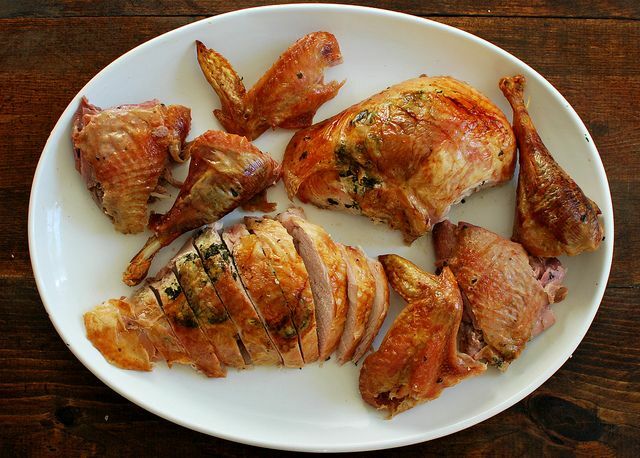 Whether for Thanksgiving dinner or any other time of the year, a roast bird is best enjoyed simply, just out of the oven. 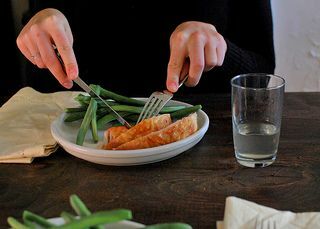 Carve carefully and serve with haricots verts, roast potatoes, and a little white wine for good measure. The breast meat will be moister the earlier you eat it -- so take advantage of that as soon as possible. With your turkey already roasted and waiting in the fridge, the only effort needed for a salad like this is whisking together the classic emulsion of oil, vinegar, egg, garlic, and anchovies (if you want them!). 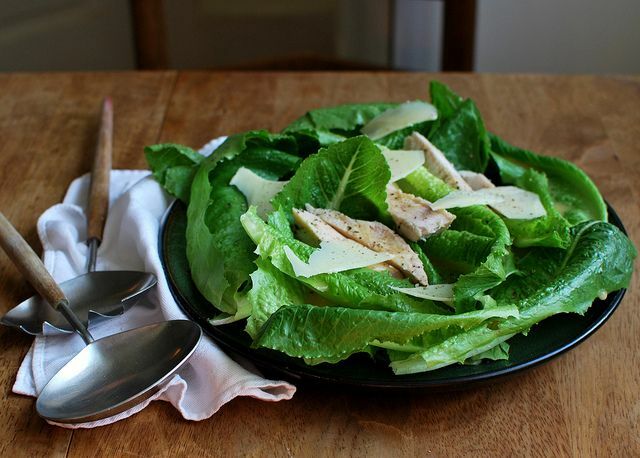 Layer strips of turkey on crisp romaine, drizzle with dressing, and top with shaved Parmigiano. If you reserved the turkey skin, fry it up into salty, crunchy cracklings for the top. 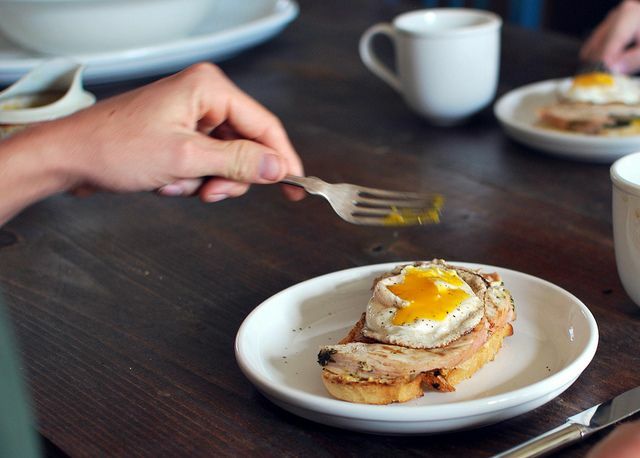 Make a croque madame that trades out the ham for turkey, but keeps the classic Gruyere cheese and runny-yolked egg. Before I build, I like to swipe the toasted bread with a little Dijon. Serve them open-faced with greens on the side. 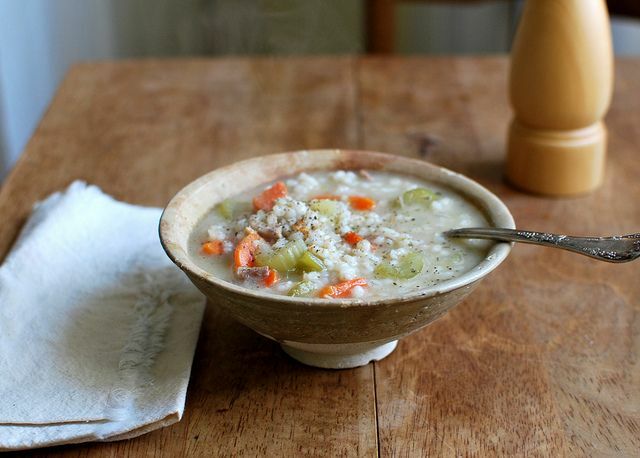 Soup is the perfect way to use up the stock you distill from your Thanksgiving turkey. This one is simple: onion, carrot, and celery, combine with nutty barley to play perfectly with the turkey stock. Add in shredded dark meat toward the end of cooking, and liberally grind black pepper over the top. Since turkey stock can be very rich, I made a play on risotto which trades out white Arborio rice for a short-grain brown rice. 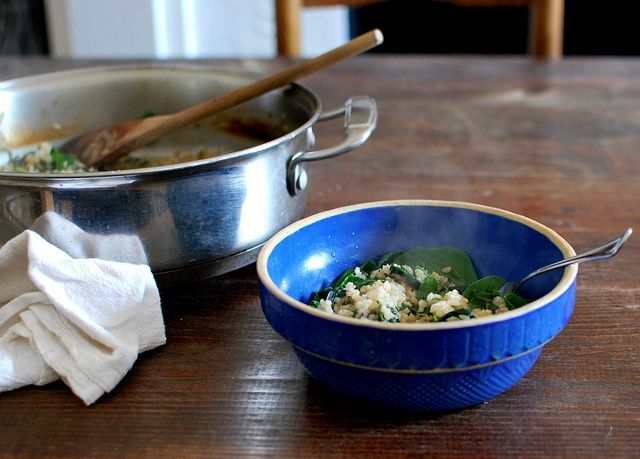 The mushrooms are cooked with the rice for most of their simmering time, and greens -- I use spinach and arugula -- can be stirred in toward the end. • Post-roast, store light and dark meat separately in the fridge if you can, as they lend themselves to different types of meals. • Take the time to strip the carcass of every bit of meat you can; you’ll miss out on a surprising amount of meat if you don’t. What you’ll come up with is perfect for soups. • Use the reserved neck and carcass to make a simple stock. After a few hours of simmering, you’ll have liquid gold, ready to amp up rice dishes -- or cool and freeze it to have at the ready whenever you need it next. I'm a public health professional in the nation's capital, and an enthusiastic home cook and writer in my rural Virginia kitchen. I love simple, market- and garden-driven food and entertaining that's accessible and low-fuss. I like to think I write about the life lived between the lines of the recipe. In the UK, not having Thanksgiving, we eat turkey on Christmas Day (or Goose! - think of A Christmas Carol by Charles Dickens) and one of the classic post-Christmas meals using left-over turkey is Turkey Curry. Spicy but not too hot, made with onions, coconut milk, raisins, garlic, coriander (cilantro) served with rice, mango chutney and some simple side dishes it can be just as much a feast as it was on Christmas Day itself and can feed a large number. The other dish my family love is Turkey fritters with a big mixed salad...yum!